Random Views: Strand cigarettes: an object lesson for Labour? 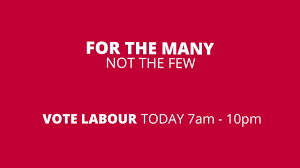 “For the many, not the few”: it’s the slogan that Labour took into the UK general election in June 2017. Labour didn’t win that election but did a great deal better than I, or most commentators, expected. It came a far stronger second than we expected and the Conservatives hung on to office but lost their parliamentary majority. That’s about as successful as a losing campaign can be. The slogan was key to it. It’s an appealing slogan. Inequality is the great issue of our time, and we are infested around the world, and in particular in Britain, by governments that speak for a tiny minority already wealthy beyond belief but constantly enriching themselves, while the rest at best stand still and, among the poorest, sink further into poverty. Reversing that trend is a matter of morality, but also of economic effectiveness. Gross inequality – as Thomas Piketty’s Capital in the 21st Century shows – doesn’t just give an elite a disproportionate share of the existing cake, but makes the cake itself smaller for everyone. The slogan neatly sums up the need, the urgent need, to fix the drift of the last four decades, from a divide between rich and poor, to a rift, to today’s chasm. Politically it’s right on target. But I’m a marketing man. And I know that even the best of promotional campaigns can go wrong. Take, for example, the insurance campaign which took as slogan “we won’t make a drama out of a crisis”. It’s a brilliant line, isn’t it? Easy to remember. Summing up what we need from an insurer when things go wrong. But who on earth was the company? I had to look it up before writing this, and discovered that it wasn’t who I thought it was. Well, that’s not the problem with “For the many, not the few”. You really have to be entirely uninterested in politics in Britain not to know that’s Labour’s message. The example just shows badly an apparently good campaign can misfire. A much more closer example is what has become the poster boy of advertising flops: the 1959 movie advertising Strand cigarettes. It was made by Carol Reed, the director of The Third Man, no minor figure in the cinematic art. But sales collapsed. 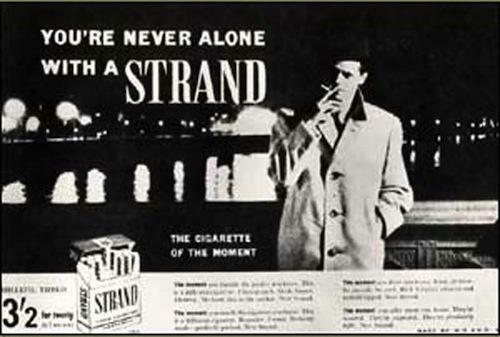 Strand cigarettes were taken off the market. And yet the advert was popular, the background music did well in the charts, the actor became a star. And, let’s face it, “you’re never alone with a Strand” sound like a great line. So why did it fail? The answer, analysts agreed, was that the advert was promoting loneliness. And who wants to be lonely? That’s my problem with “for the many, not the few”. Who wants to be one of the many? Most people like to think of themselves as unique. As individuals, at least. One of the many? Feels a bit like being relegated to a mere unit in the mass. Should Labour speak for an anonymous mass? I want a government that speaks for me. I suspect most voters feel the same. How about, vote Labour because we matter? Because we have rights? Because we deserve better? Remember that another way of saying “the many” is “hoi polloi”. The principle’s great. And it’s a fine slogan. But then so was “you’re never alone with a Strand”.